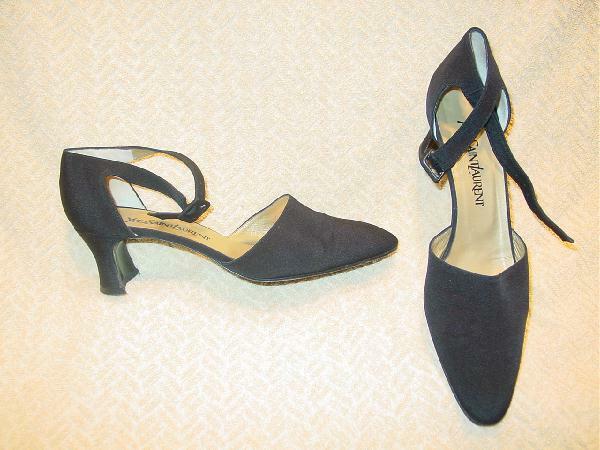 These black ankle strap open shank pumps are by Yves St. Laurent. The black fabric feels like a silk-peau de soie blend. The ankle strap has a fabric covered buckle and 3 holes. The heels are a modified crescent shape from the sides. They have modified rounded elongated toes. There are gold-tone leather linings. They were used in several runway shows.